Discover Central Borneo’s eminent orangutan sanctuary, Camp Leakey, with Silversea Cruises during two expedition voyages departing on 24 June 2019 and 9 July 2019. On board, guests will be joined by guest lecturer Dr. Biruté Mary Galdikas, a renowned primatologist, internationally recognised for her studies and work with the orangutans of Borneo, in their natural habitat. The duo of expedition cruises, travelling from Darwin to Bali and from Bali to Singapore, will explore the exotic islands of Indonesia with an overnight stay in the port of Kumai, gateway to Tanjung Puting National Park and its legendary Camp Leakey. 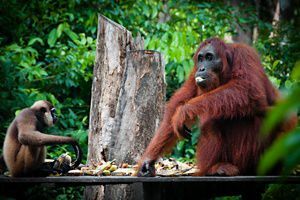 Operated by Dr. Galdikas' non-profit Orangutan Foundation International (OFI), Camp Leakey is the site of the anthropologist's pioneering research in the wild. Silversea is the only cruise line partnering with Camp Leakey, and offers its guests exceptional wildlife-focused experiences. 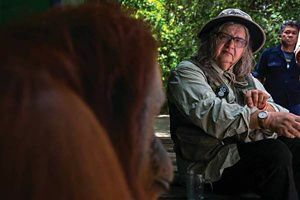 Considered the world's foremost authority on the orangutan, Dr. Galdikas will lead a private tour through Camp Leakey, where guests can enjoy close-up encounters with these amazing animals. Immersed in magnificent tropical scenery, guests may also spot wild proboscis monkeys, gibbons and macaques, as well as over 200 different bird species. In the company of Dr. Galdikas, Silversea guests will also be granted rare access to the OFI's Orangutan Care Centre and Quarantine facility located in the village of Pasir Panjang. The rehabilitation centre is home to numerous orphaned or injured orangutans and is normally closed to the public. During an enriching onboard presentation, Dr. Galdikas will also share insights from her many years devoted to the study, care and preservation of these endangered primates. Throughout her life, Dr. Galdikas has fought tirelessly for orangutan conservation and amongst her many awards, she was the first non-Indonesian born person to receive the prestigious Kalpataru award, the highest honour given by Indonesia for outstanding environmental leadership. included roundtrip economy airfares, or reduced Business Class airfare upgrades; complimentary transfers between airport, hotel and ship; and one night pre-cruise accommodation. Those booking by 30 April 2019 will also receive US$1,000 onboard credit, per suite and a one-category suite upgrade. - V9916: 9 July 2019 (Bali to Singapore): All-inclusive package fares start from AU$9,700 per person based on double occupancy in an Adventurer Suite. Guests booking by 31 March 2019 will also receive a saving of up to AU$400 per suite, plus included roundtrip economy airfares, or reduced Business Class airfare upgrades; complimentary transfers between airport, hotel and ship; and one night pre-cruise accommodation. Those booking by 30 April 2019 will also receive US$1,000 onboard credit, per suite and a one-category suite upgrade.